1. 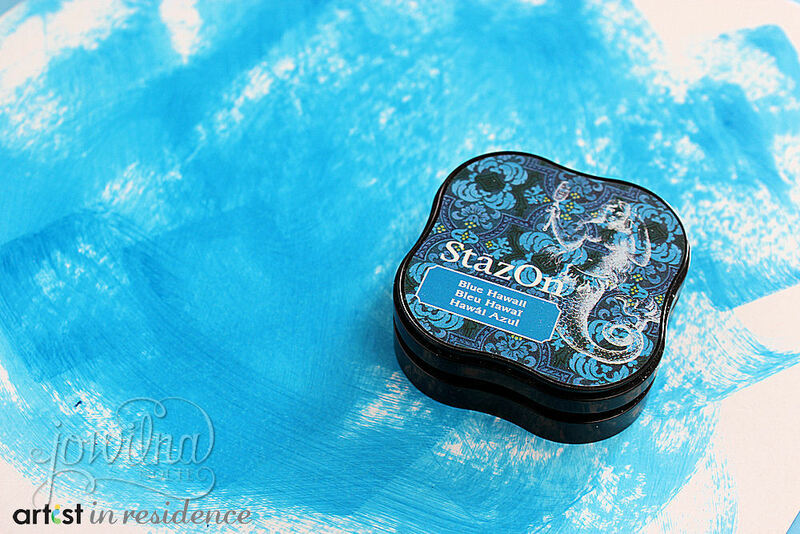 Use StazOn to layer different colours to create a funky background onto Gesso. 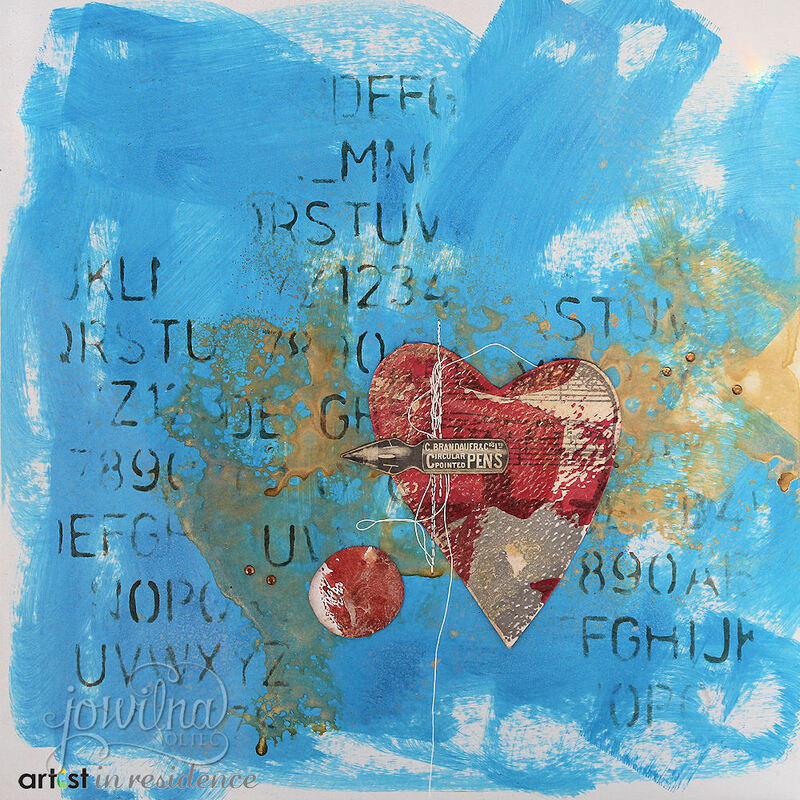 I created my background by adding Gesso to the envelope, then added 3 different mediums, Blue StazOn, Purple acrylic paint an then red gel medium. On my top layer I added some stenciling using my StazOn, and immediately cleaned my stencil with some StazOn stamp cleaner to avoid it getting stained for ever by the ink. 2. 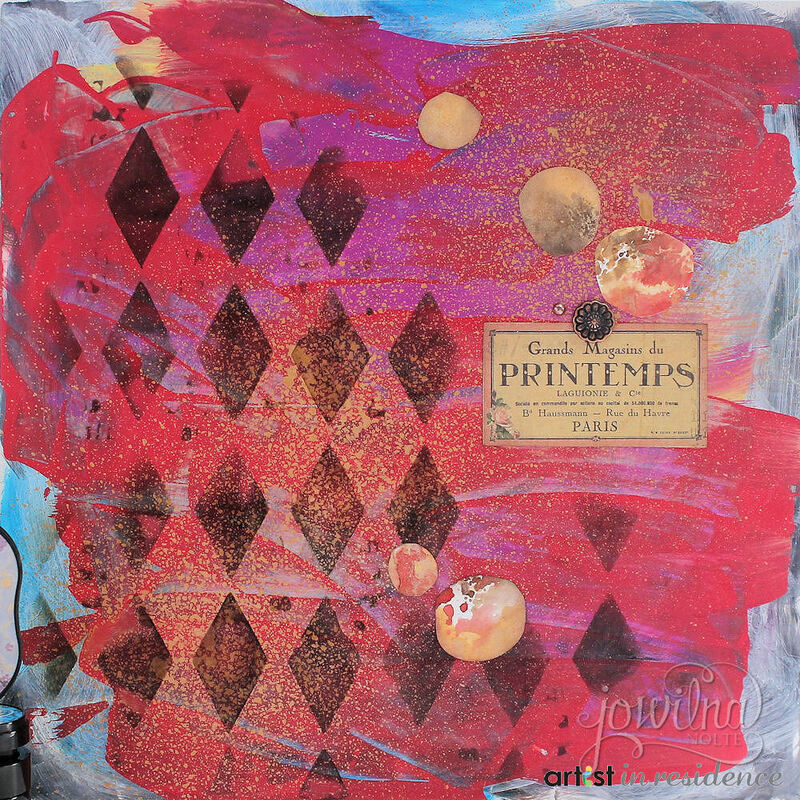 For this background I added the ink directly to my glossy envelope – direct to paper technique using my ink pad and covering most of the surface in color. I then used alcohol to create my patterns. 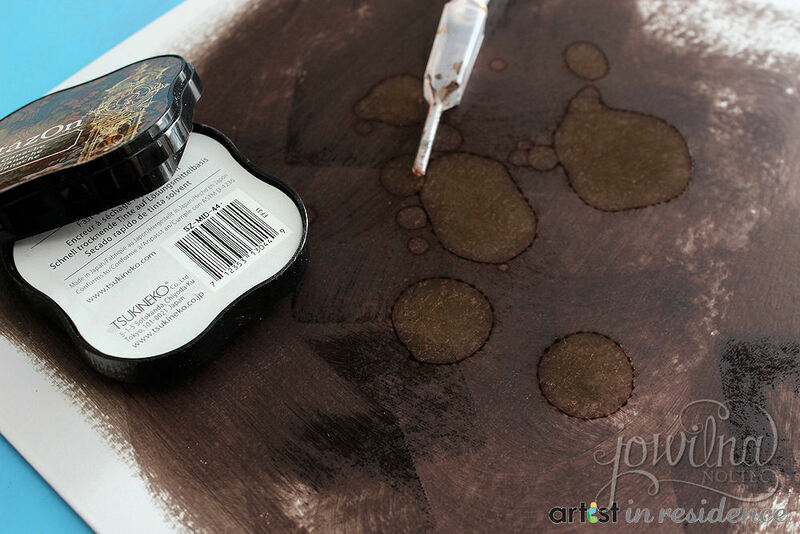 While the ink is still wet on my glossy envelope, I added alcohol using my ink dropper and simply let the drops dry leaving me with a creative background effect as the alcohol makes the colour lighter as it dries. 3. 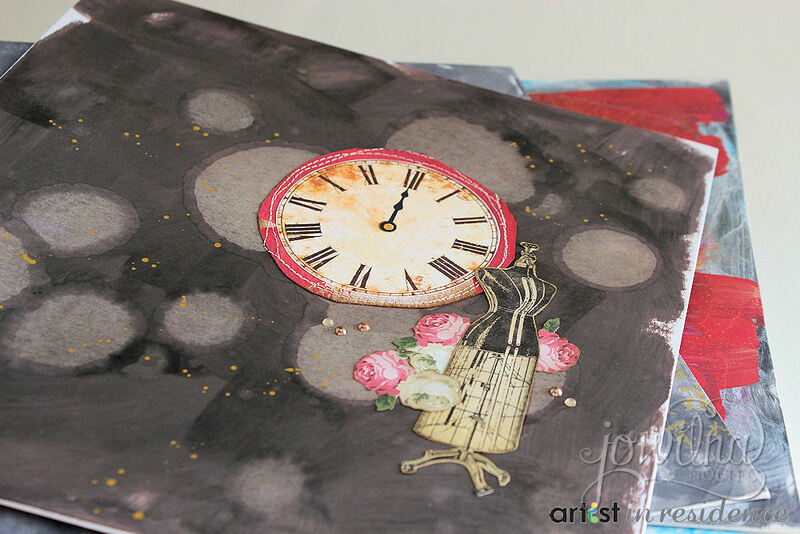 For this background I again used my ink pad directly to the glossy cardstock and then layered on some stenciling and gold ink dipping. 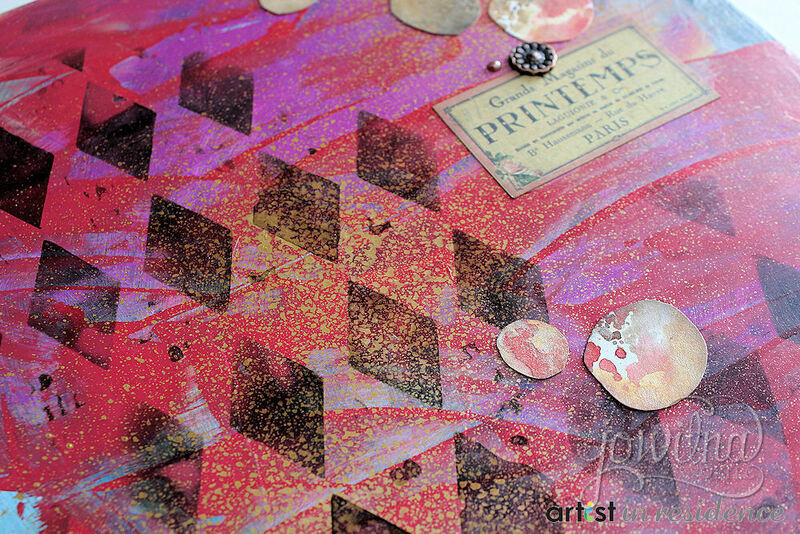 By layering different products together in bright colors and metallics you can create a gorgeous effect. 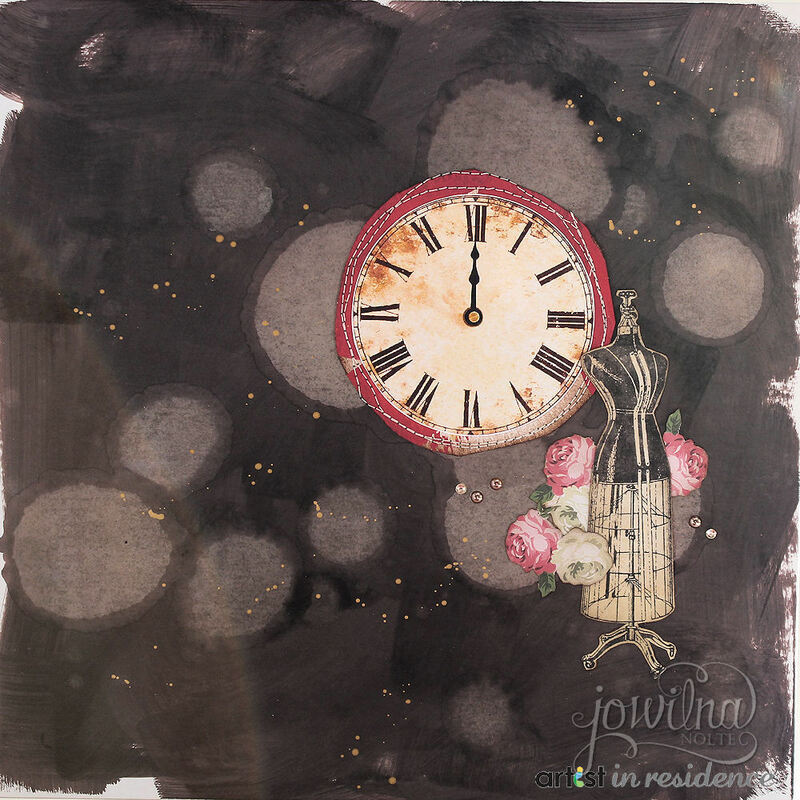 I inked the background, added some stenciling and then added Gold Studio Glaze to my carft mat and dipped my envelope into the gold ink repeatedly and left it to dry. Direct to paper technique does not mean you have to cover the entire surface – leave some open spaces for interest. 4. Brayering ink onto paper has always been a firm favorite technique of mine and it creates a stunning effect. 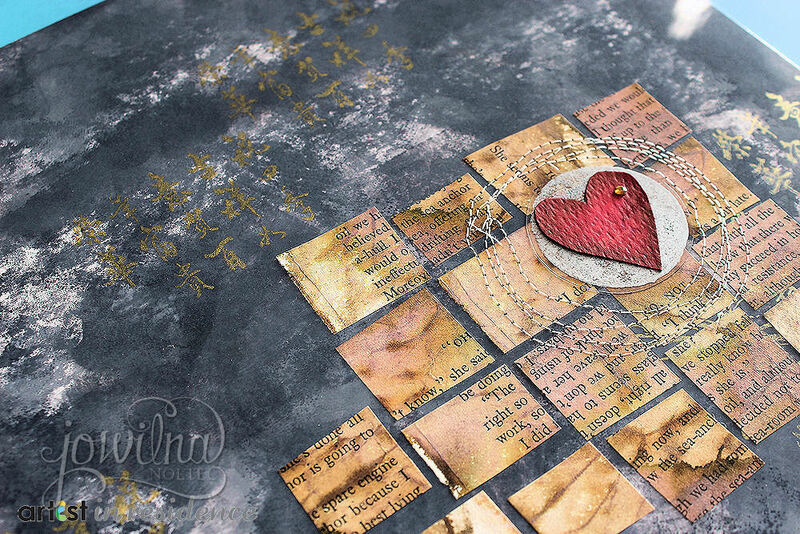 After brayering I used my Gold ink to stamp subtle images onto the background and added some handmade inchie art. 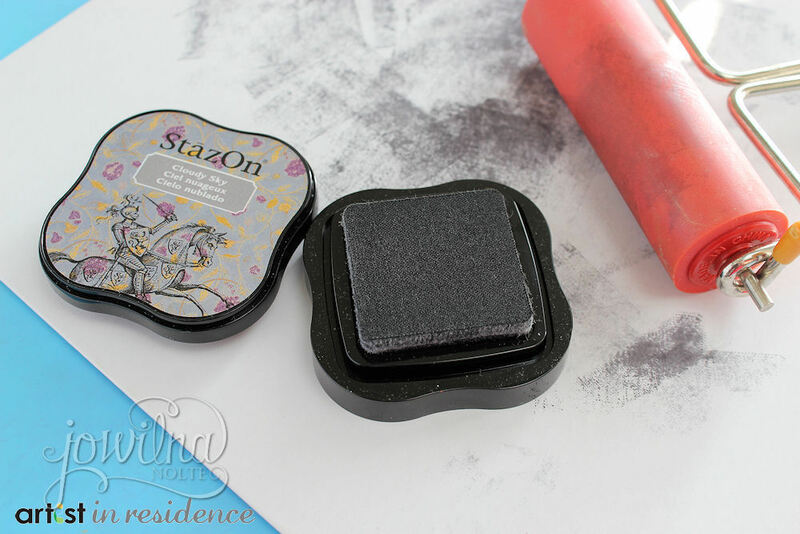 StazOn works well with a brayer, but again remember to clean your tools immediately after using it with your StazOn ink pads. 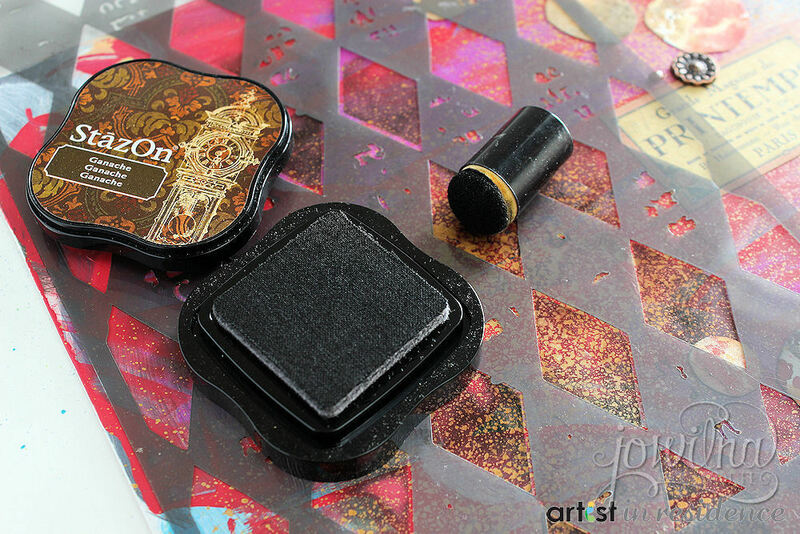 Ink and brayer the ink repeatedly onto your background until you are happy with the coverage. 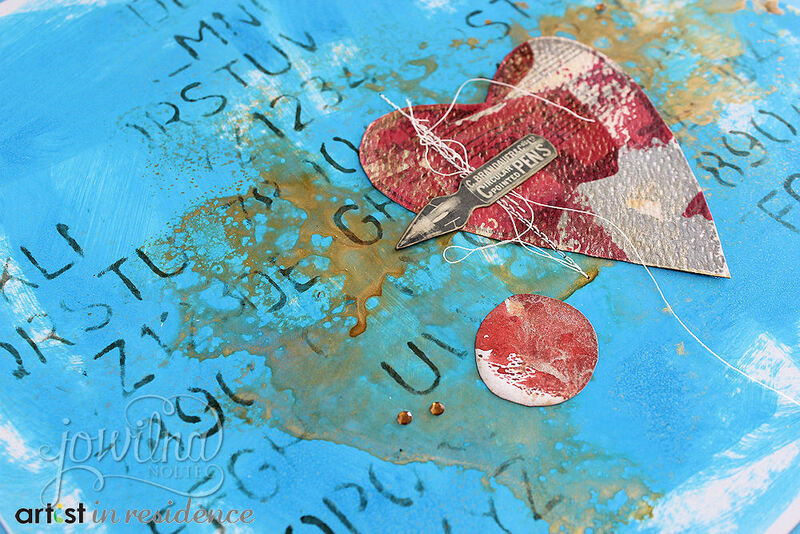 Other: Brayer, glossy envelopes, alcohol, diamond stencil:Prima, alpha stencil: Tim Holtz, envelopes:Scrapcouture, assorted embellishments and stamps.